This transitional style sleeper sofa is the ideal update for your living room. With a queen size Dreamquest mattress this sleeper sofa allows you to welcome guests into your home knowing they have a great place to rest. Transitional in style with flared tapered arms, this sofa is comfortable and with the customization of the fabric you can create a piece that is a perfect match for your home’s style. 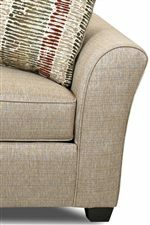 Seat and back cushions have welted details and the two sided pillows add a different pattern or accent color to the piece with ease. Sitting on wood block feet with innersoft cushions this piece is sturdy and comfortable. 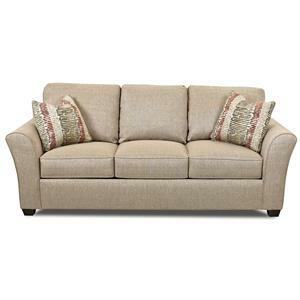 Use this queen Dreamquest sleeper sofa to update one of the most important rooms in your home. 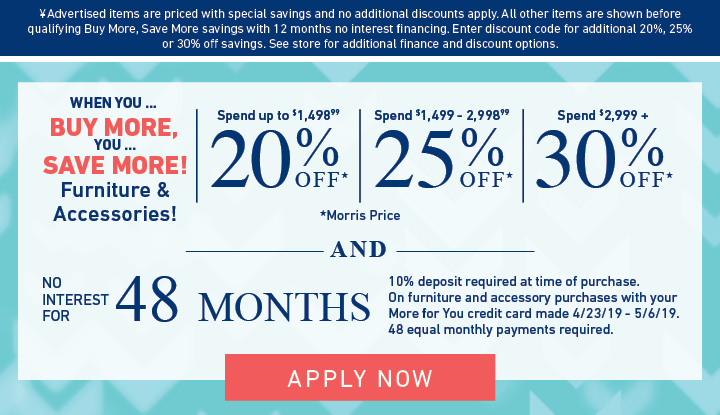 The Sedgewick Transitional Dreamquest Queen Sleeper Sofa by Elliston Place at Morris Home in the Dayton, Cincinnati, Columbus, Ohio, Northern Kentucky area. Product availability may vary. Contact us for the most current availability on this product. Padding & Ergonomics Arms padded with foam or white polyester cotton. Contour of arm formed with edge roll. The Innersoft seat cushion begins with a 1.8 core that has been die pressed with the exact number of holes in which the springs will be inserted. The spring used is 13.5 gauge steel with a height of 3.5”. A .625” thick insert cut out of 1.3 foam is placed on top and bottom of the springs. Once the inserts are in place, a topper cut out of 1.8 foam is glued on top and bottom. The final operation is to glue the dacron wrap to the top, front, and bottom of the cushion. The Sedgewick collection brings you transitional style living room furniture perfect for your home. Add function with comfortable sleeper options like the queen inner spring or Dreamquest sleeper mattress. Create a sectional that adds an ample amount of seating and sleeper sectional modular pieces let you create a warm and welcoming space in your home. Throw arm pillows allow for the incorporation of other patterns and accent colors to complete the look. 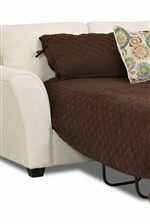 Use this collection to effortless update an important area of your home with comfort, style and function. The Sedgewick collection is a great option if you are looking for Transitional furniture in the Dayton, Cincinnati, Columbus, Ohio, Northern Kentucky area. 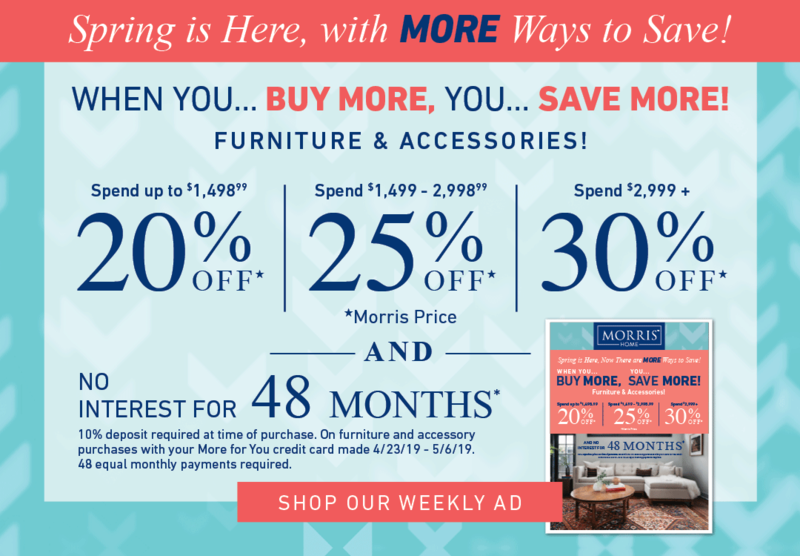 Browse other items in the Sedgewick collection from Morris Home in the Dayton, Cincinnati, Columbus, Ohio, Northern Kentucky area.